It's easy to get carried away with all the new beauty products coming out this time of year. Let's not forget about our much-needed basics. And while we're at it, why not choose some healthier options? 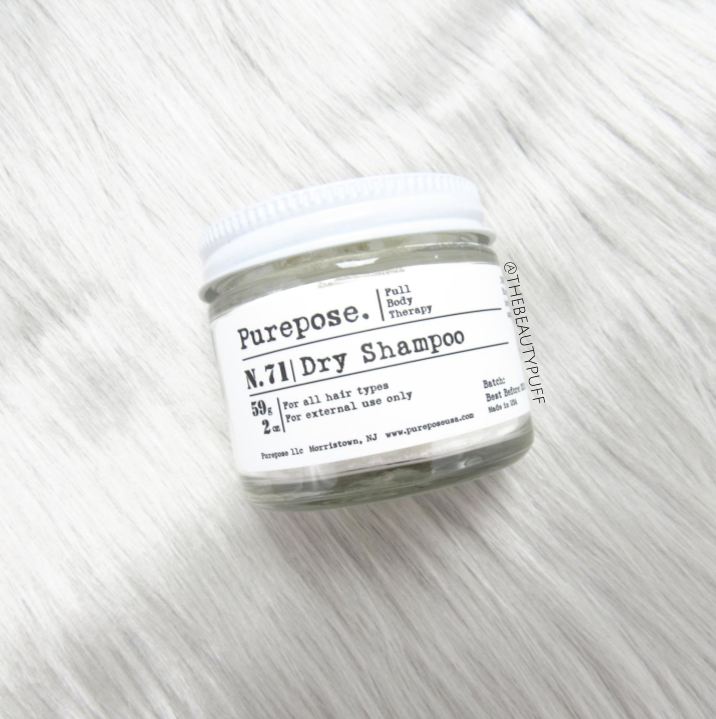 Purepose is a natural beauty brand featuring skincare and haircare products made with quality ingredients without sacrificing performance. I have a couple products from the line that have totally changed my routine. Let's take a look. 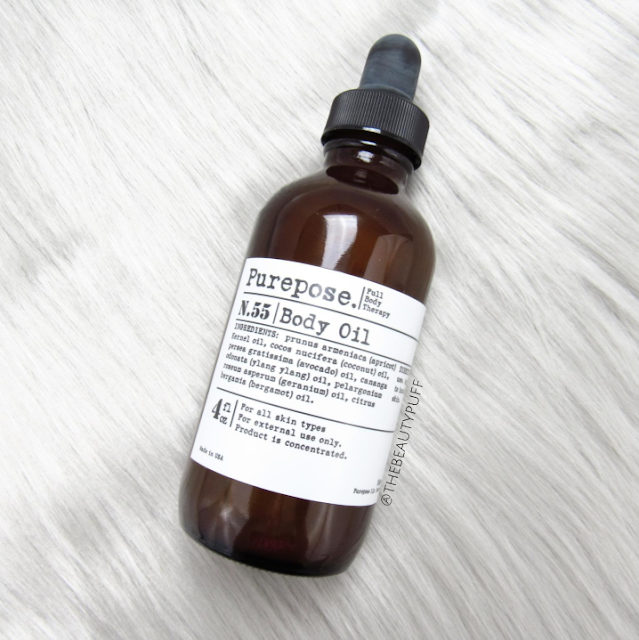 Body Oil | This is the time of year where I seek out ultra-nourishing skincare for my body. I hate that dry, tight, and uncomfortable feeling especially after taking a shower. This oil is designed to be used after showering to lock in moisture and keep skin soft and smooth. The tiniest amount can be used on areas such as heels and elbows to tackle even the driest skin. It also absorbs pretty quickly which is a bonus. I was shocked how smooth my heels looked and felt after using this oil. It transformed my dry, cracked skin into silky softness almost instantly. Dry Shampoo | This dry shampoo comes in a sleek glass jar. To apply, I just put a tiny bit into the lid, used an extra powder brush I had on hand and distributed small amounts at a time to the targeted areas. Blending with a brush was really easy and that way I wasn't adding excess oils from my hands during application. To say I'm impressed with this dry shampoo would be a real understatement. I've never felt I could go three entire days without washing my hair before. It was amazing! Not only that, this dry shampoo leaves absolutely no residue so my hair looked and felt as if I had just styled it each time I used it. Absolutely love this one. Side note - if you have oily skin, this light-weight powder can also be used to take away shine! It's amazing what a few simple, good-for-you ingredients can do to your everyday beauty routine. 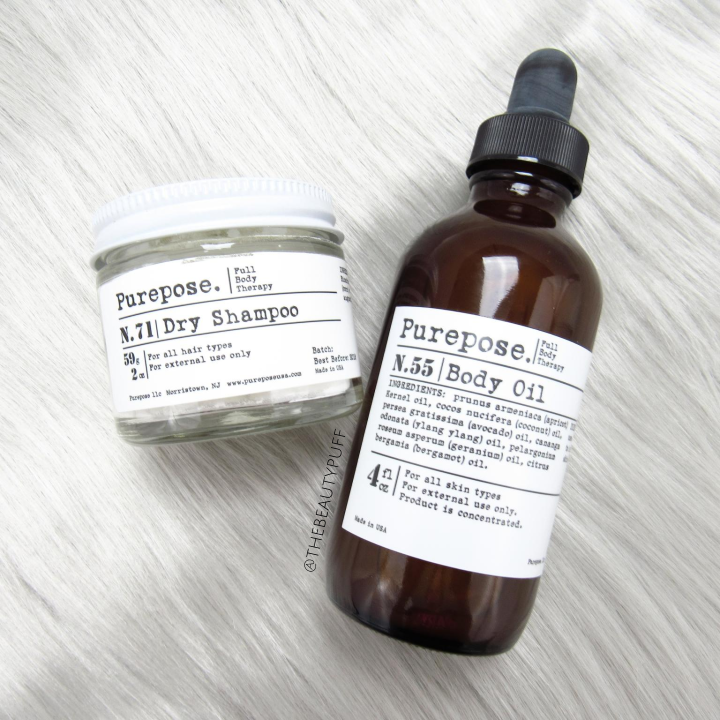 If you're looking for some cleaner options to incorporate in your regimen, I highly recommend checking out Purepose. They even have an entire page dedicated to their high quality, natural ingredients so you can see all their benefits. You can read more here and shop below for their entire line of products!